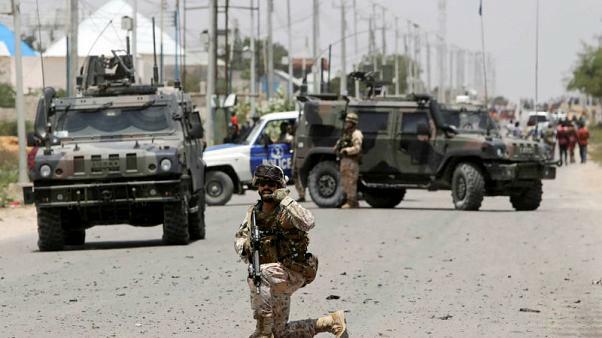 MOGADISHU: Three people were killed in a suicide car bombing by Islamist group al Shabaab which hit a European Union armored convoy in Somalia’s capital Mogadishu on Monday, police and an emergency service worker said. A Reuters witness saw men towing their damaged vehicle after the explosion hit its rear end. The armored vehicles had Italian and EU flags on them.